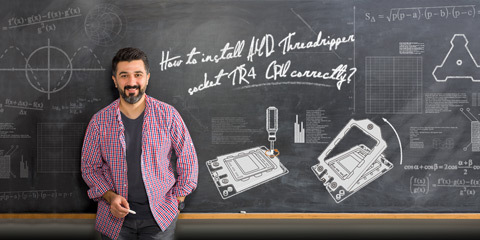 ASRock---How to install AMD Threadripper socket TR4 CPU correctly? 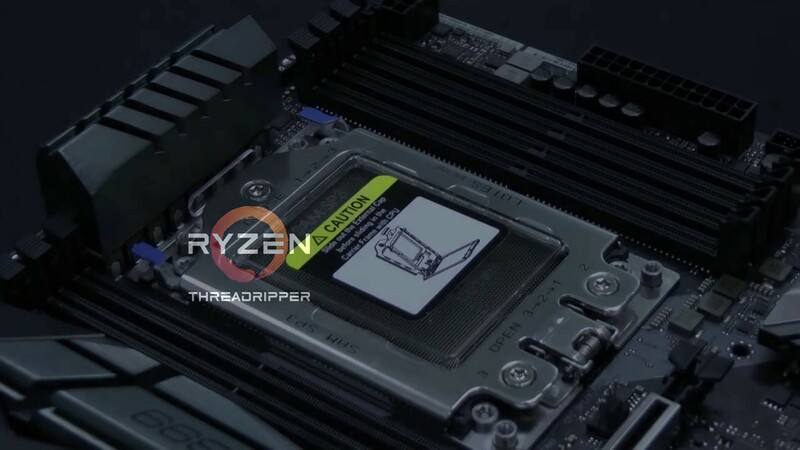 ASRock AMD X399 chipset based motherboard series uses a new CPU socket named "Socket TR4". 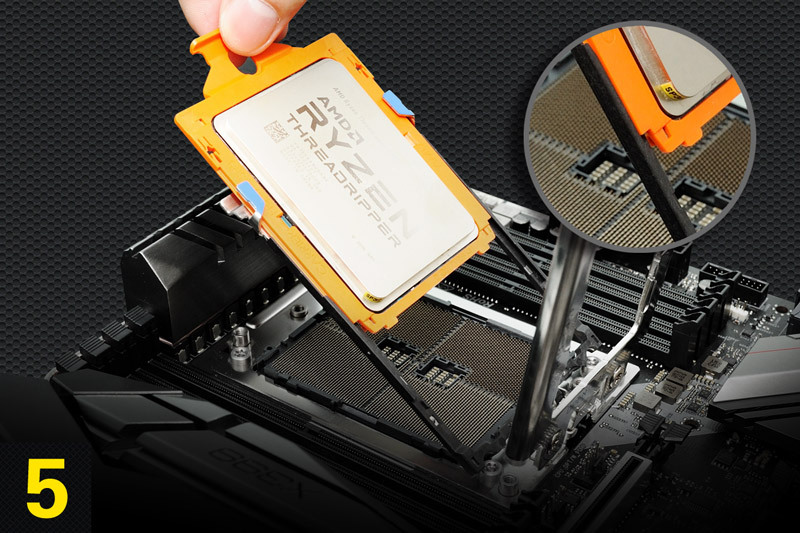 To prevent damaging your precious motherboard or CPU, please follow below tips to install your AMD Ryzen Threadripper CPU. 1. 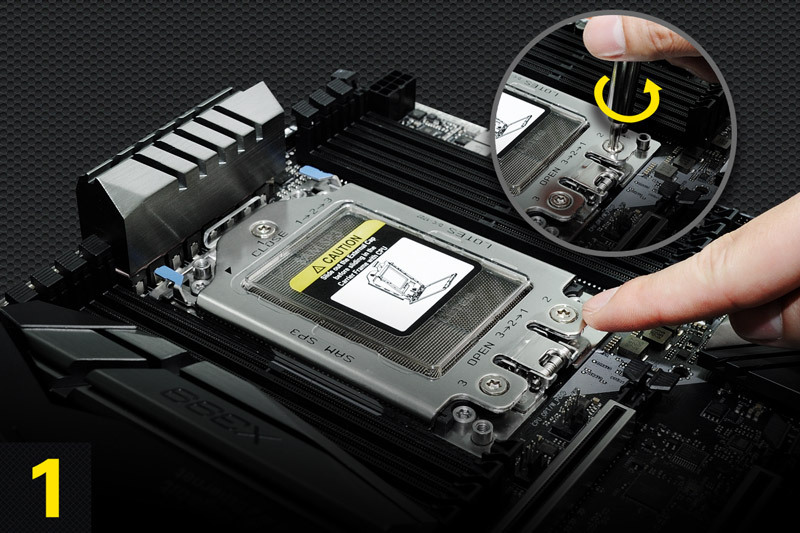 Locate the three torx screw on the CPU socket and unscrew them according to the order 3→2→1, which is printed on the socket. 2. Open the first retention cover. 3. Open the second bracket. 4. Take out the internal plastic cover. 5. 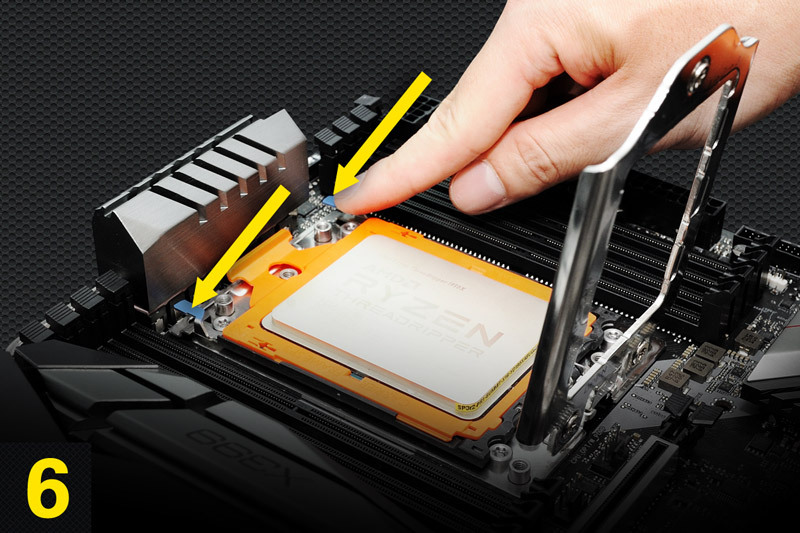 Install CPU along with the orange carrier frame, do not separate them. 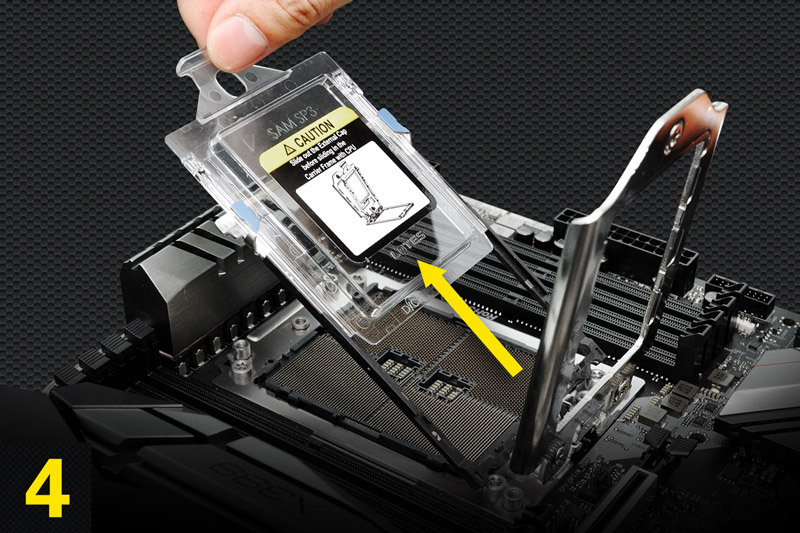 Please make sure the carrier frame with CPU is closely attached to the rail frame while inserting it. 6. 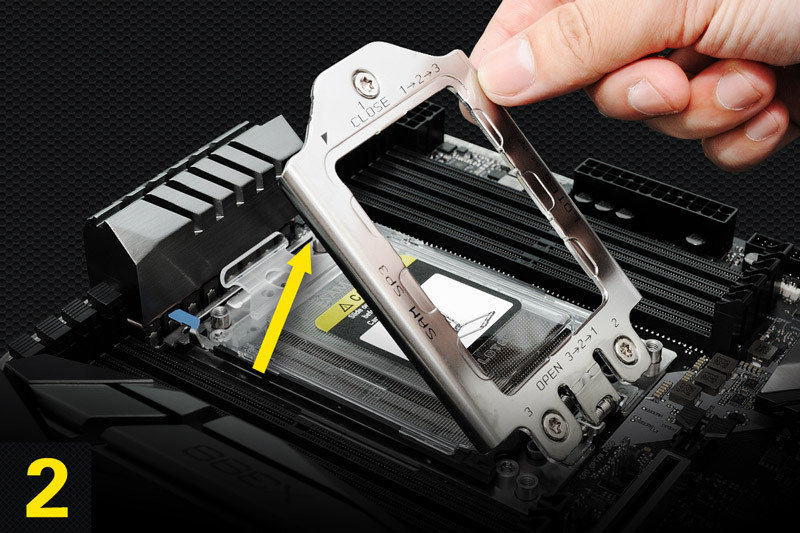 Close the bracket that holds the CPU. 7. Close the retention cover. Fasten the torx screw according to the order 1→2→3.